This year marks the 50th anniversary of the games. Alma Loken was five months old when she was diagnosed with a genetic condition that involves medical problems and developmental challenges. "I guess we're not going to the Olympics," her mom, Melanie, remembers saying. "But I think we have a Special Olympics athlete on our hands." Now five years old, extremely social and very energetic, Alma is just that. 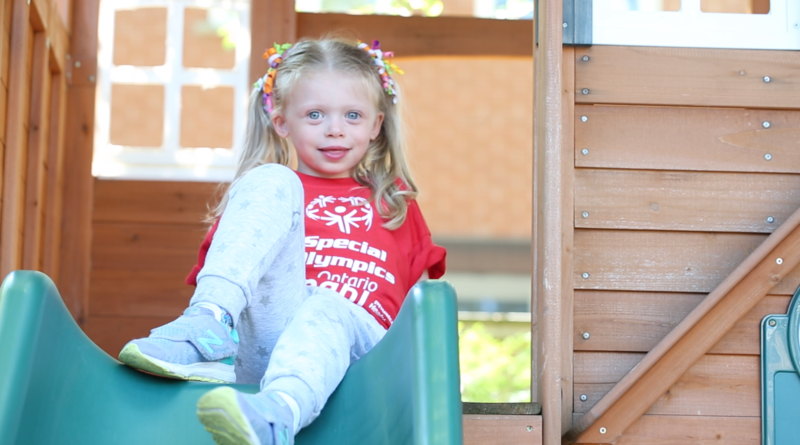 She's been involved with the Special Olympics Active Start program since she was just two. Once she's older, she plans to start figure skating, and hopes to one day represent Canada at the Special Olympics World Games. Alma has Williams Syndrome, a rare disorder that affects about 1 in 10,000 people worldwide. It often involves life-threatening cardiovascular problems, and can cause a host of other medical issues as well: elevated blood levels, low birth weight and feeding problems, musculoskeletal issues and kidney abnormalities are all common symptoms. There's also some degree developmental delay and learning disability, as well as speech problems. But, like Alma, most children with Williams Syndrome are usually very social, with a genuine interest in the people around them and expressive personalities. You'll see Alma's energy and personality shine through in the video above. The Special Olympics were founded by Eunice Kennedy Shriver in 1968, several years after groundbreaking medical research by Frank Hayden, a Canadian doctor. In 1960, Hayden discovered that children with intellectual disabilities were in fact capable of participating in sports, and simply weren't given the opportunity. This year marks the Special Olympics' 50th anniversary.